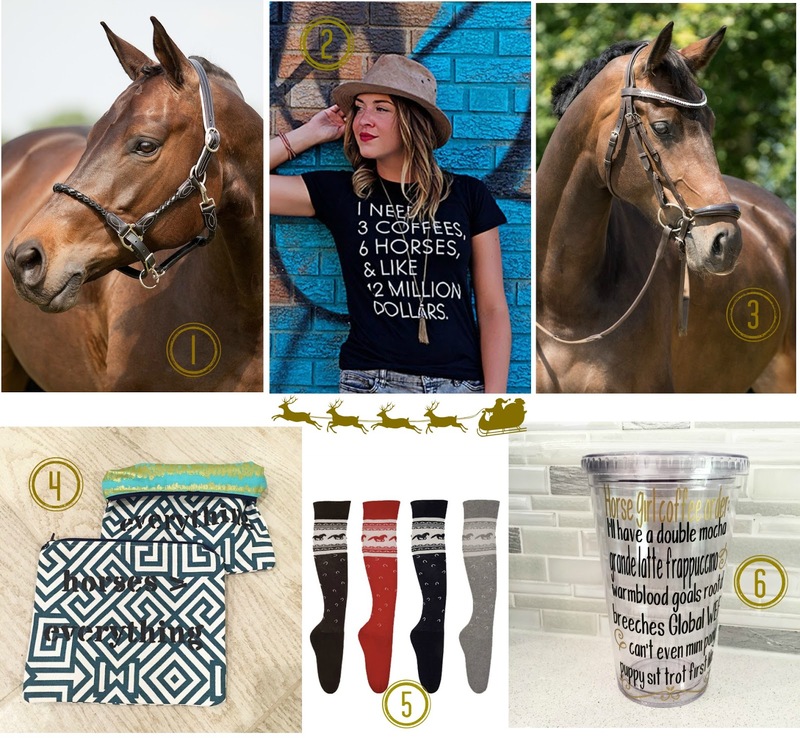 I have heard many riders talking about the brand 20x60 and wearing the famous "I need 3 coffees, 6 horses & like 12 million dollars" t-shirt but, somehow, I only visited their website for the first time last Friday - Carolina you have been missing great stuff haha. It seems that most people are already looking for Christmas gifts or writing their letters to Santa so I guess it is the perfect time to start posting some suggestions. 1. Primiera Vienna Halter; 2. "I need" Equestrian Tee; 3. Primiera Savona Bridle; 4. "Horses > Everything" Everything You Need Zipper Bag; 5. Holiday Riding Socks; 6. Horse Girl Coffee Order Tumbler. These are all from 20x60 and they are available here.